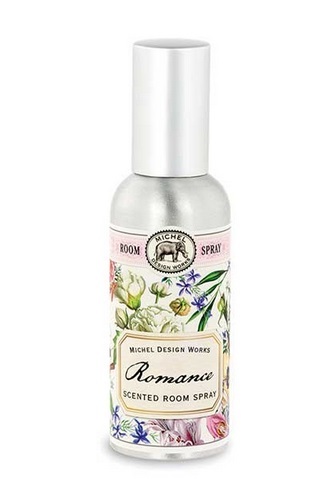 Michel Design Works is highly regarded for their exclusive bath and body, home decor, kitchen, tabletop and holiday products. 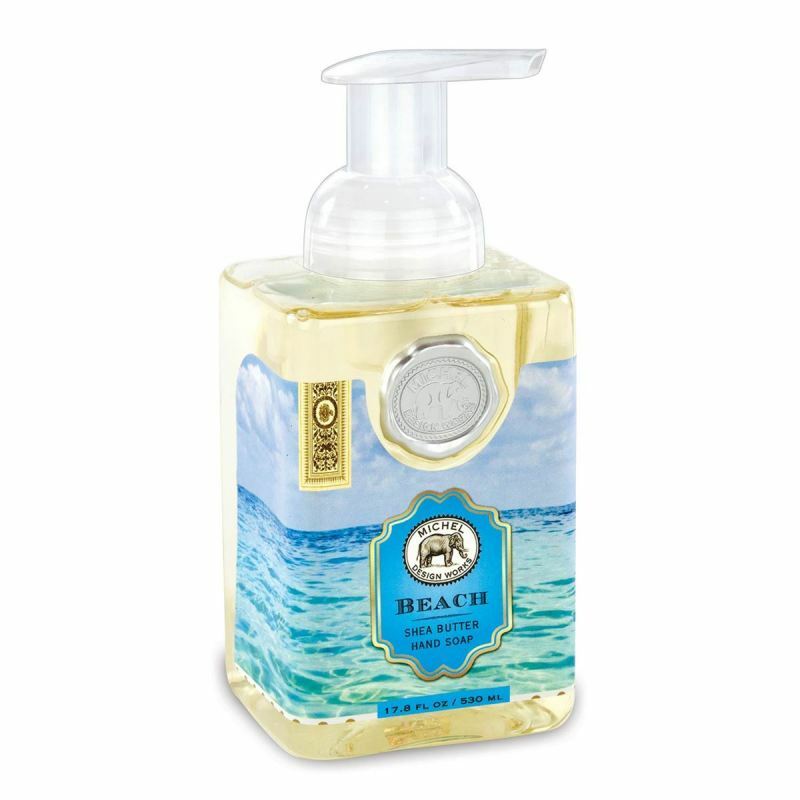 We’re proud to offer the extremely popular Michel hand soaps and other bath and body products. 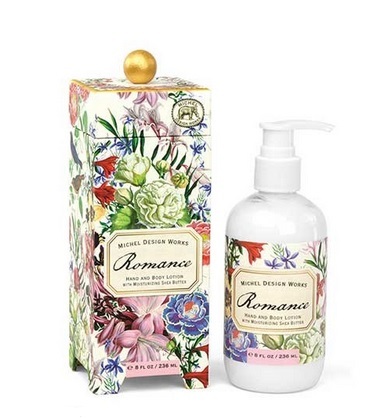 Formulated with natural ingredients like shea butter, aloe vera and beneficial herbs, and presented in attractive packaging with floral designs, you’ll enjoy displaying and offering foaming Michel Design Works hand soap, hand and body lotion and bath soap bars to family, friends and guests. 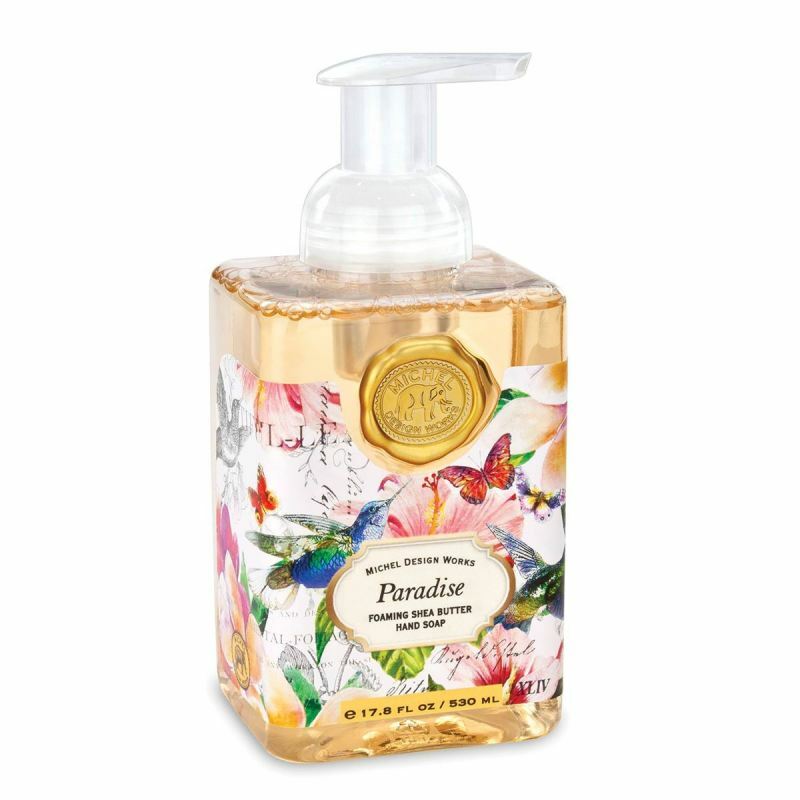 Hand Soap - "Lemon Basil Foaming Hand Soap"
Hand Soap - "Sea Life Foaming Hand Soap"
Michel Design Hand Soap - "Paradise Foaming Hand Soap"
Michel Design Hand Soap - "Tuscan Grove Foaming Hand Soap"
Michel Design Hand Soap - "Tranquility Foaming Hand Soap"
Michel Design Hand Soap - "Papillon Foaming Hand Soap"
Michel Design Hand Soap - "Sweet Pea Foaming Hand Soap"
Michel Design Hand Soap - "Lavender Rosemary Foaming Hand Soap"
Michel Design Hand Soap - "Beach Foaming Hand Soap"
Hand Soap - "Snowy Night Foaming Hand Soap"
Hand Lotion - "Snowy Night Hand & Body Lotion"
Hand Cream - "Honey Almond Hand Cream"
Hand Lotion - "Honey Almond Hand & Body Lotion"
Bath Soap Bar - "Honey Almond Bath Soap Bar"
Hand Lotion - "Honeysuckle Hand & Body Lotion"
Bath Soap Bar - "Honeysuckle Bath Soap Bar"
Hand Lotion - "Sea Life Hand & Body Lotion"
Bath Soap Bar - "Sea Life Bath Soap Bar"
Hand Lotion - "Seahorse Hand & Body Lotion"
Hand Lotion - "Lemon Basil Hand & Body Lotion"
Bath Soap Bar - "Lemon Basil Bath Soap Bar"
Hand Lotion - "Romance Hand & Body Lotion"
Room Spray - "Romance Room Spray"
Hand Lotion - "Into The Woods Hand & Body Lotion"
Michel foaming hand soaps are of the highest quality while still being a great value. 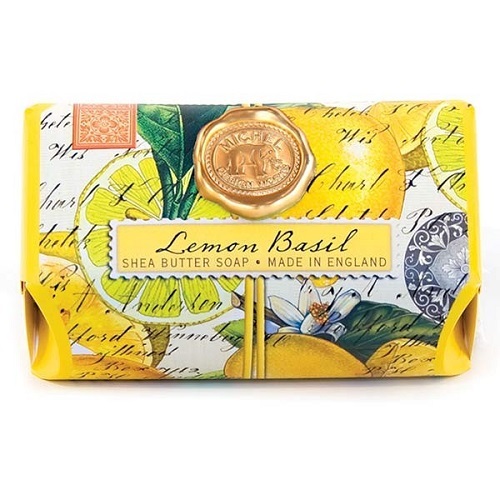 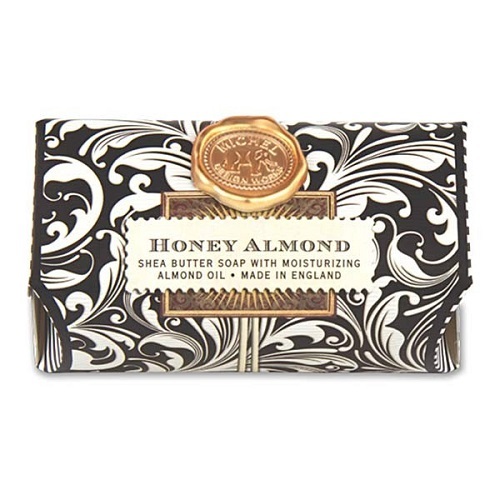 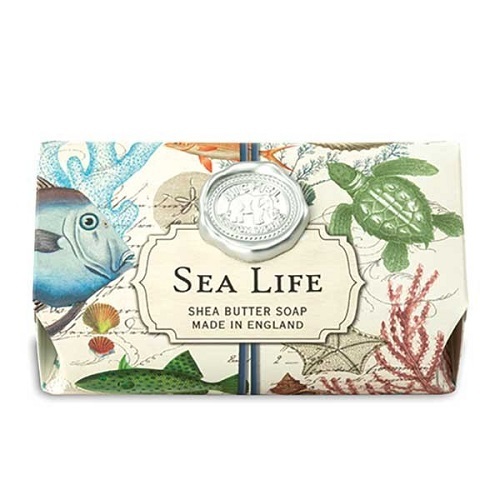 Their soap features shea butter and aloe vera, two natural ingredients that are extremely beneficial for skin care. 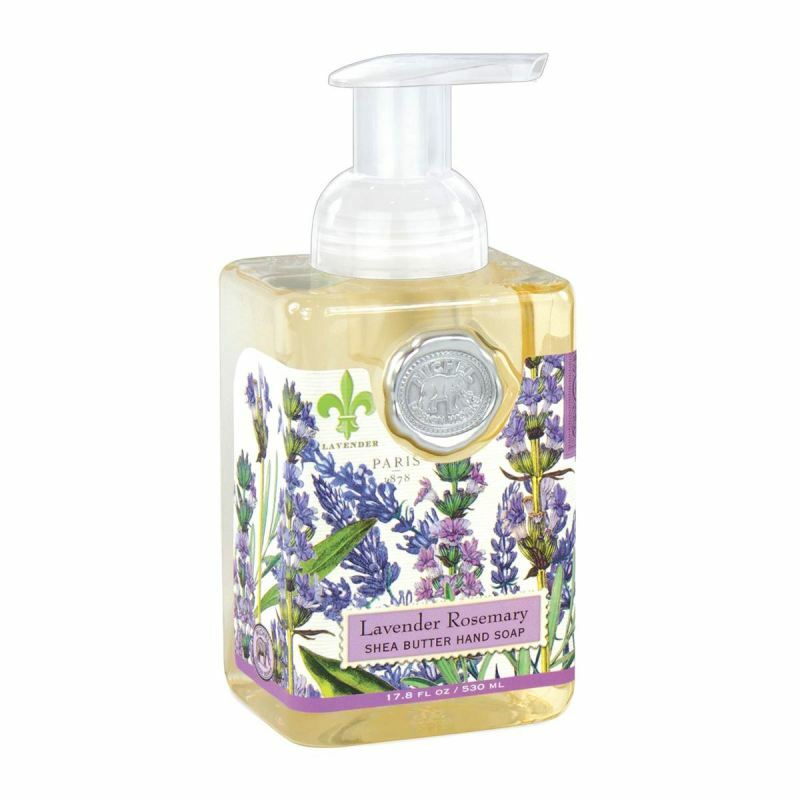 There are many delightful scents available including refreshing lemon basil, luscious honey almond, and soothing lavender rosemary. 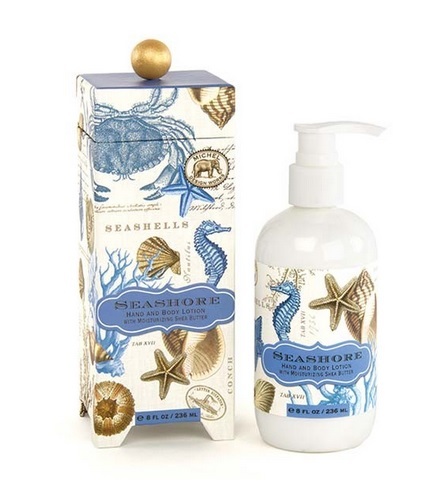 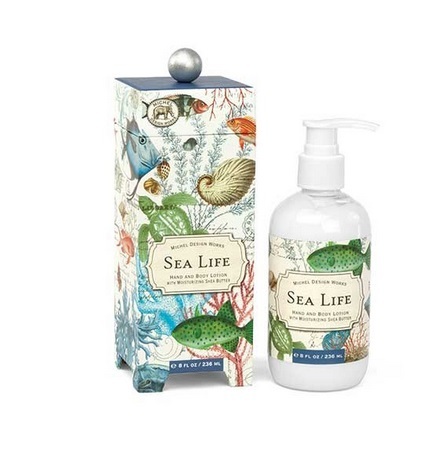 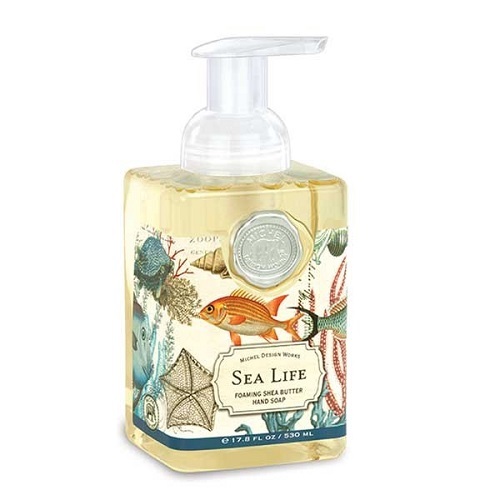 Their Paradise foaming hand soap features hibiscus and plumeria flower scents, while Sea Life has the scent of invigorating marine air. 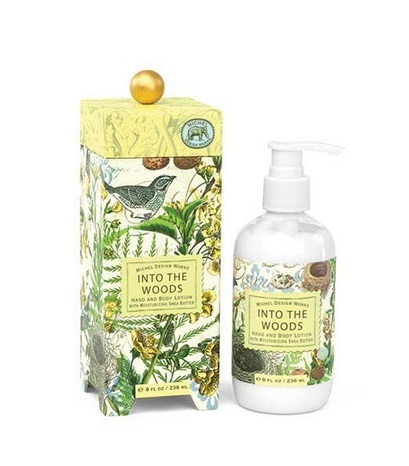 Other scents include echinacea, olive and herb, floral meadow, sweet pea and freshly cut Christmas trees (which is perfect for the holidays). 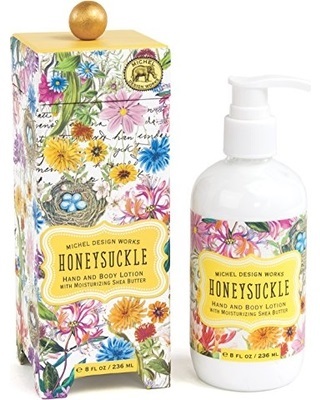 Shea butter, aloe and botanicals are also the ingredients in luxurious Michel hand and body lotion. 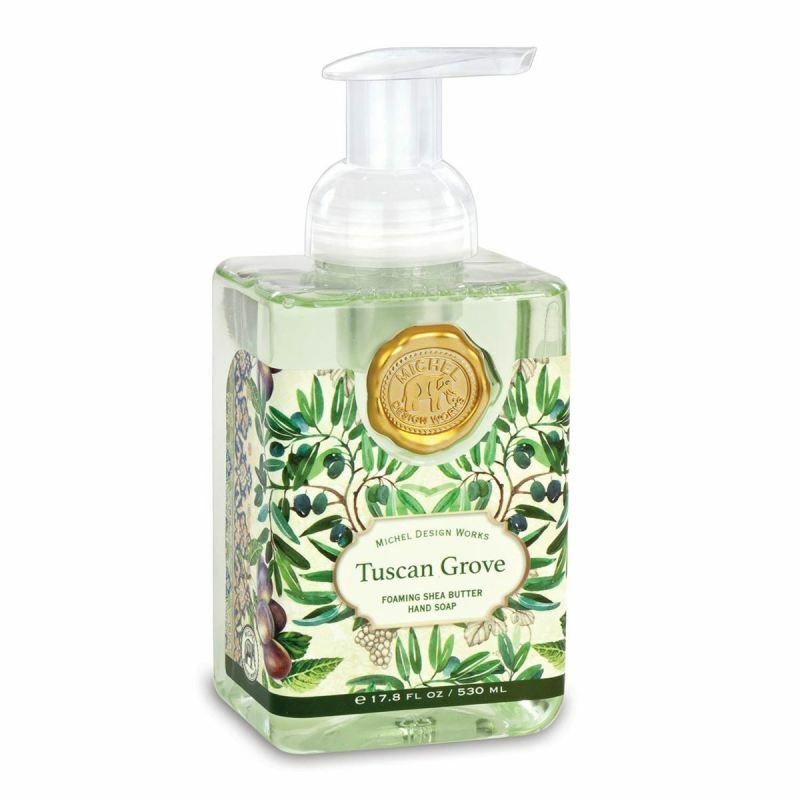 Revitalize dry skin with these high-quality lotions. 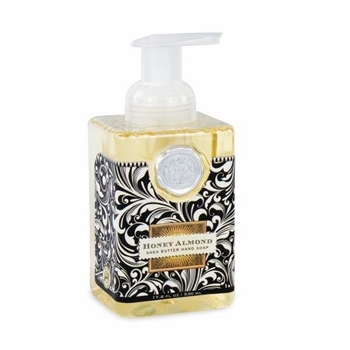 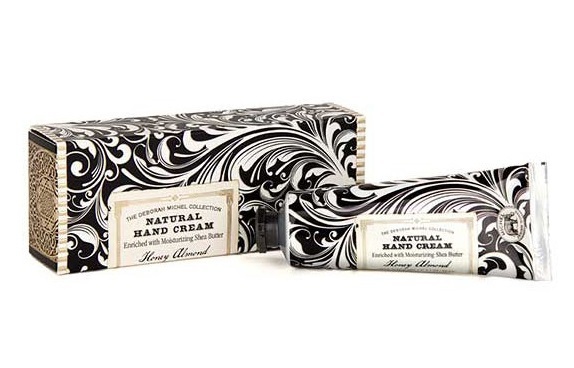 Like the hand soaps, they also come in very attractive packaging that you’ll be pleased to put out on your vanity. 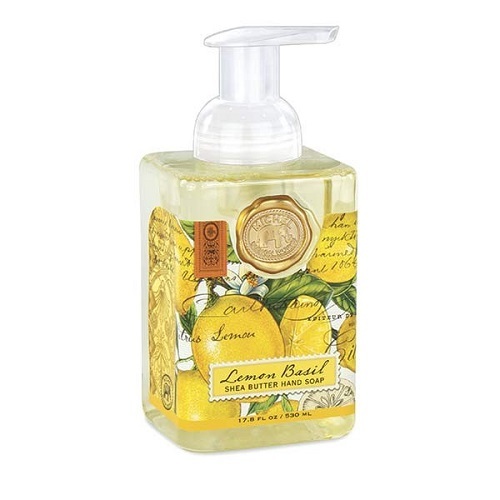 There are lotions available in some of the same delicious scents as the hand soap. 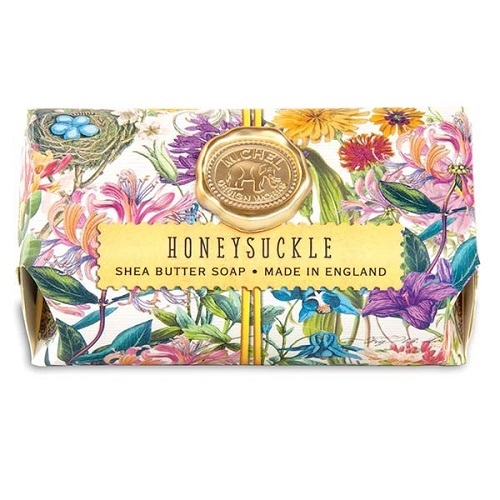 We also carry Michel’s triple-milled English artisanal shea butter soap made with pure vegetable palm oil, glycerin and shea butter. 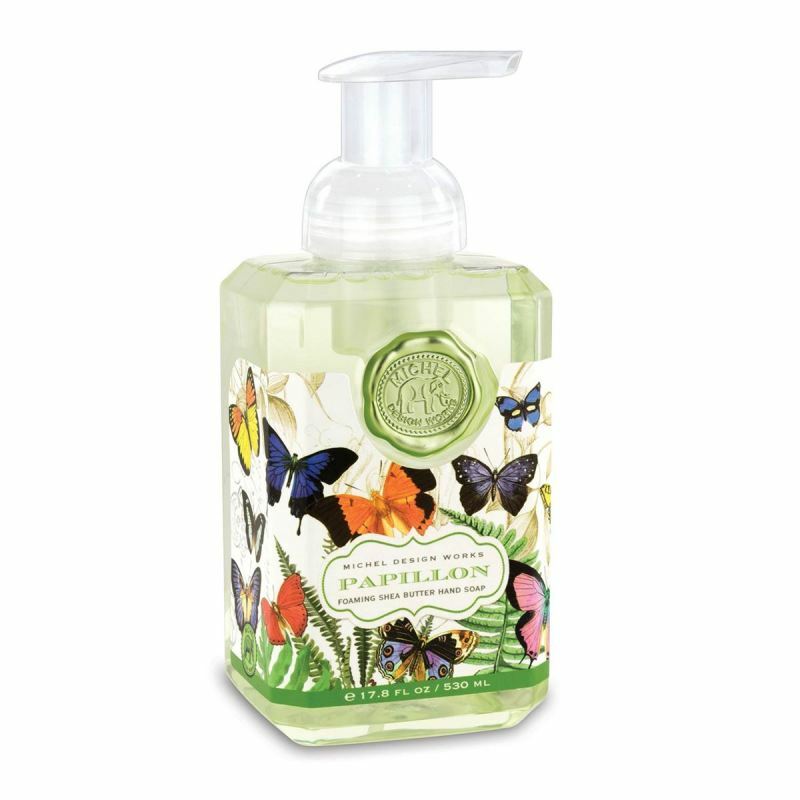 It’s available in different appealing scents to match the season and your taste. 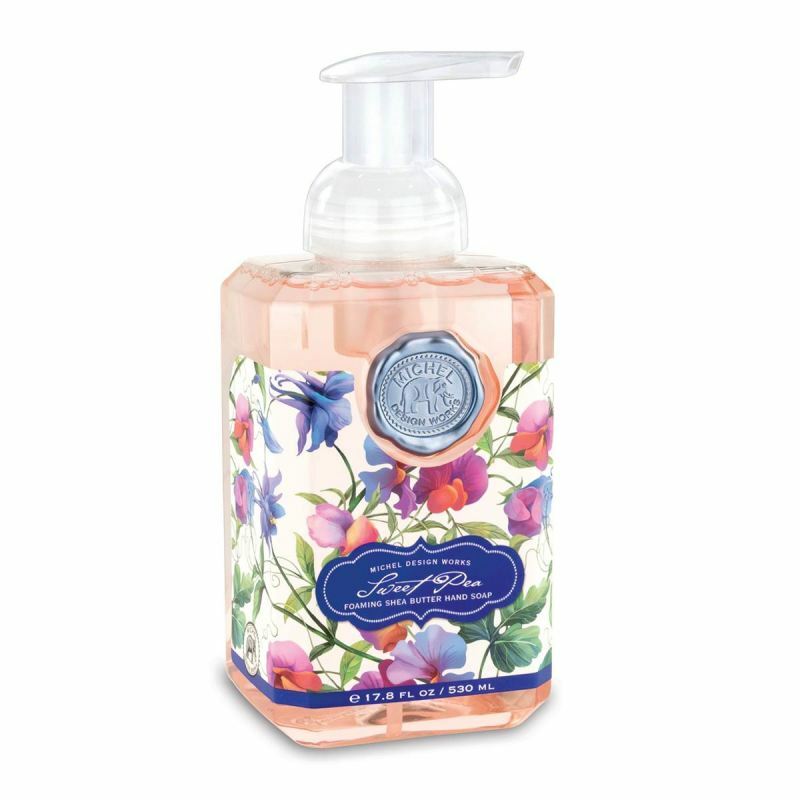 Their fragrant Romance room spray will fill any room in your home with tantalizing morning rose. 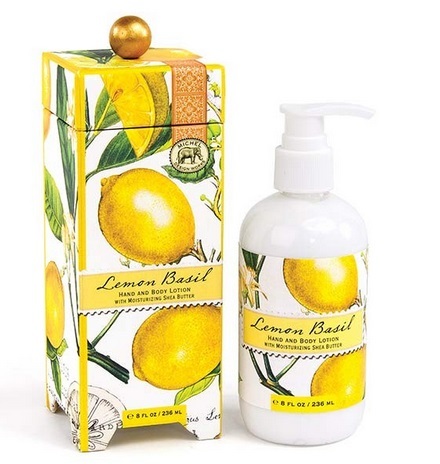 Christmas Tree Hill brings the most unique products in home decor, fashion and jewelry, Christmas decor and gift giving to our valued customers while offering great value and exceptional service. 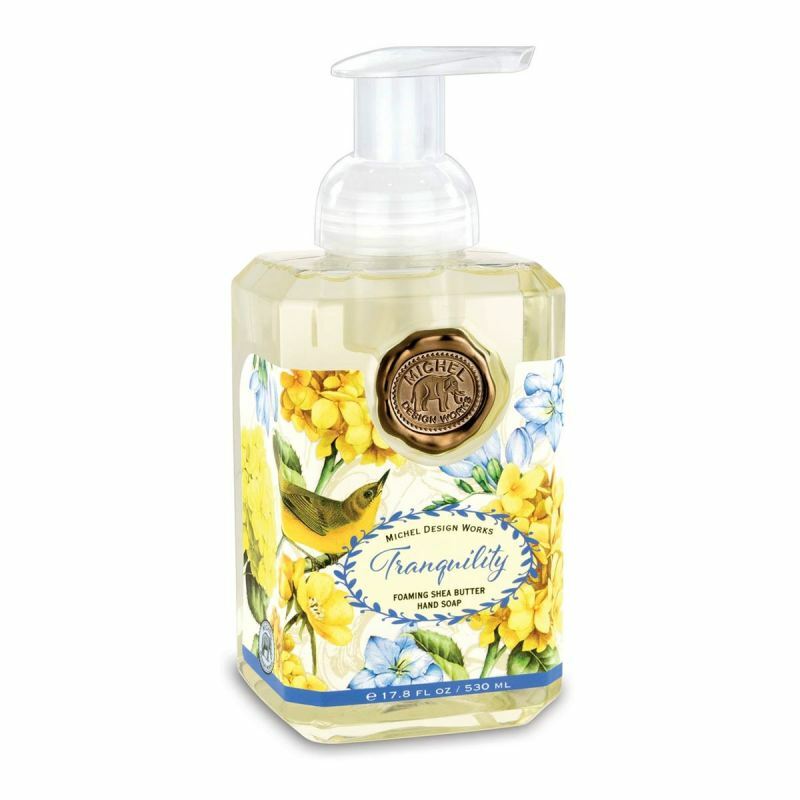 We’re proud to be a family-owned business since 1971.